In just a few short days, it will be 2018. 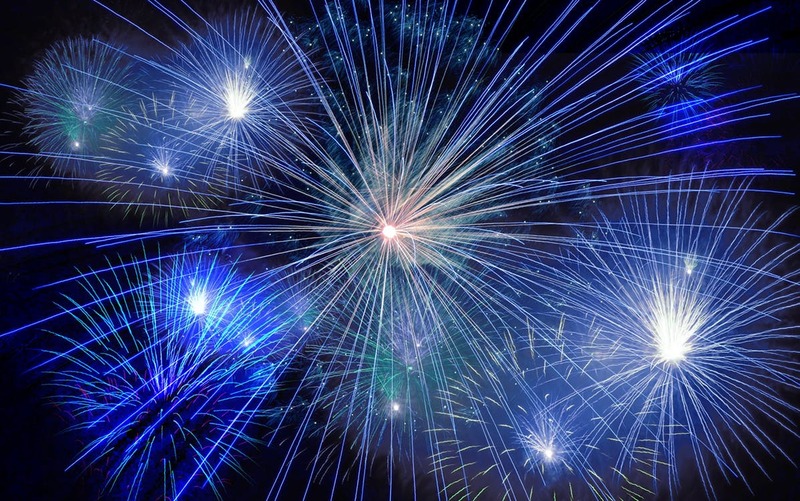 The holidays will be over; business operations will return to normal; and, hopefully, your employees will return to the office refreshed and ready to give the New Year their all. But, if you want to experience more than just a few days of increased productivity, it’s imperative your organization leverages this momentum. Here are a few tips on how your company can best engage and recognize your employees in the coming year. 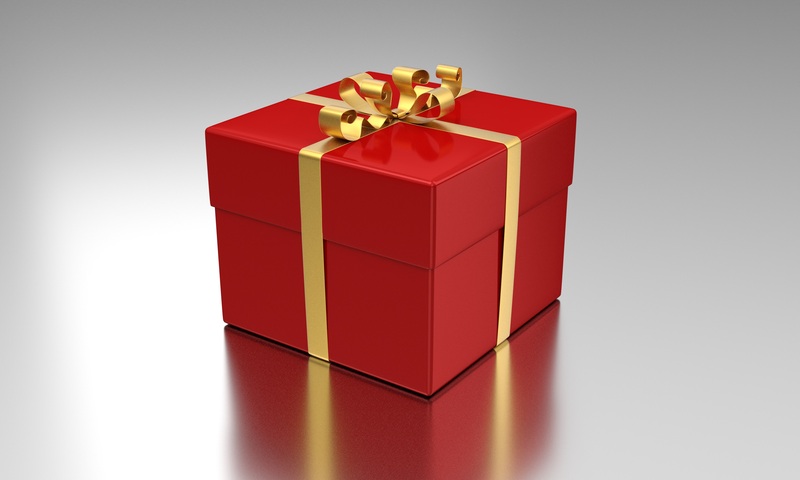 End-of-year giving is a great tool to engage your employees and ensure that the new year starts off with a bang, but not any gift will do. You need to offer something that will have a lasting impact on your team while steering clear of items that can cause more harm than good. Our list of best and worst gifts is designed to help you do just that. For more than 80 years, C.A. Short Company has been an industry leader in the employee engagement and recognition industry. And over that time, we’ve learned that one of the most effective means of creating an engaged and safe workplace is through offering a points-based incentive program to your employees. As it turns out, we aren’t alone in our thinking. Study after study has concluded that rewarding and recognizing employee behavior that’s consistent with a company’s core values is the best way to achieve desired results. But, many businesses still have their reservations. To see why this may be the case, let’s take a look at the findings of a new report. It's that time of the year. 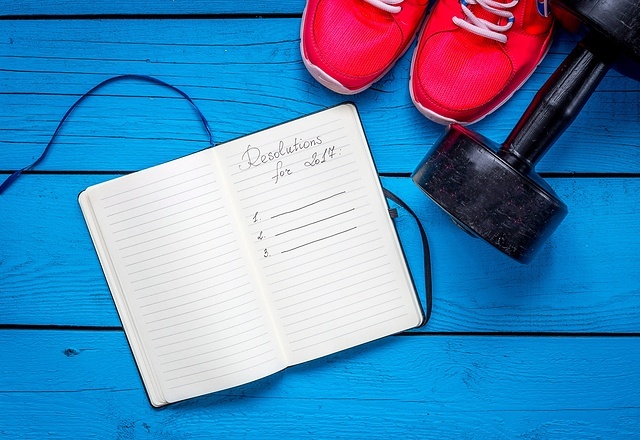 Health clubs and gyms are busy with the onslaught of people who have decided the new year is when they will finally focus on fitness and health. It happens year after year. Folks start out with enthusiasm, motivated to create a new reality for themselves, but over the course of the year that enthusiasm falls off - gradually for some, and quickly for others. The regular fitness buffs sometimes even avoid the gym for the first month or two of the year, until the resolution-based users begin to fade away once again. Unfortunately, the same thing often happens with employee recognition. Editor's Note: This blog post was originally published in December 2014. Because we have recently published new blog posts regarding the Transportation industry, we feel it is advantageous to republish this blog post for easy accessibility and reference. Over the past few years, major changes have occurred in the Transportation Industry. CSA 2010 Carrier Safety Scores are now publically available for shippers looking to hire safe and reliable carriers, as well as for drivers looking to compare potential employers. As a result, trucking companies with the highest safety scores are in the highest demand. Many trucking companies have had to find new ways to reward safe drivers and motivate truck drivers who have low scores. 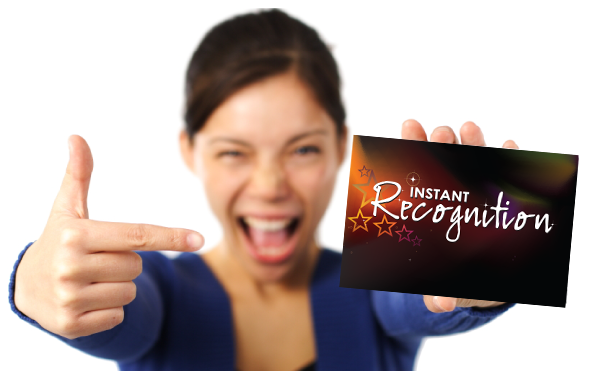 Instant Award Recognition is one of the newest and most effective motivators in the market today. It is an instant reward for safe behaviors and a job well done. It is also simple to use and offers a way, with low administrative overhead, to recognize drivers. 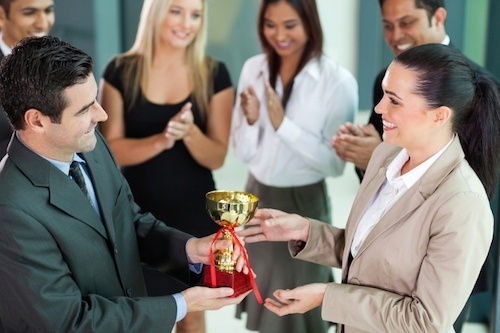 Are Your White-Collar Employees Benefiting from Employee Recognition? While all employee recognition programs should be geared toward engaging and appreciating employees, the culture and climate of your workplace defines how that plays out. White-collar employees (i.e. professional, managerial, and office workers) thrive when their recognition is on-the-spot and fits their day-to-day work. Vroom Expectancy Theory states that individuals will behave or act in a particular way because they are motivated. Motivation is a powerful force in a company. This fact lends itself to an appropriate question: Are you properly motivating your white-collar staff? What is Instant Award Employee Recognition? Performance reviews today have become the most dreaded topic of conversation among Human Resources professionals. It's a topic that leaves HR professionals feeling guilty and frustrated knowing that the annual performance review no longer works for our instant gratification society. They are antiquated and lack the instant encouragement needed by today's workforce. The protocol now is Instant Award Recognition. When executed properly, Instant Award Recognition is linked to employee retention, employee engagement, and better overall work performance! This, in turn, benefits the organization as a whole. What are Instant Award Safety Incentive Programs? 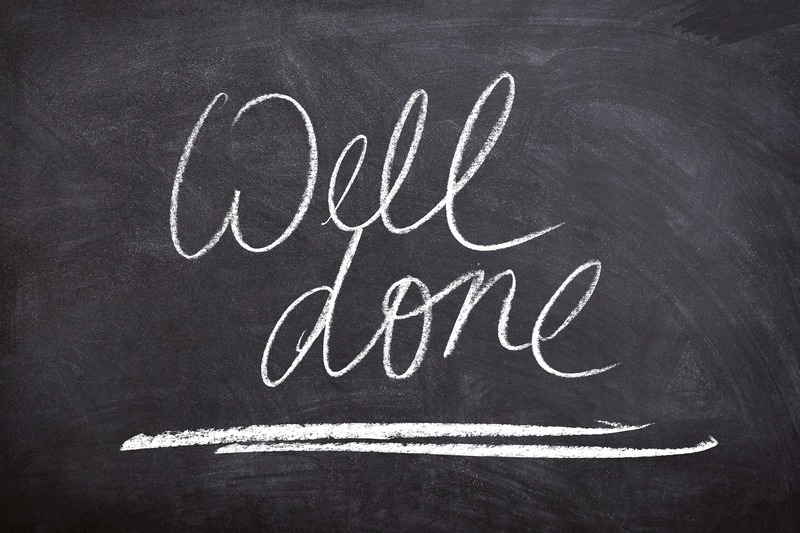 How Can I Raise Recognition Program Awareness While Fully Engaging My Employees? 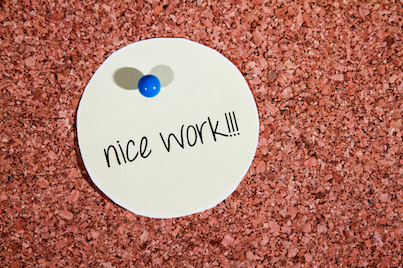 It’s the ultimate goal of every person responsible for Employee Recognition. But, over the years I have found a very easy way to achieve both of those goals. Instant Award Recognition. What is Instant Award Recognition you might ask? It’s pretty simple. It is recognition given as close to the event or celebrated action as possible. With today’s workforce, a recent Mercer study showed that 43% of people left their jobs for the lack of recognition. By adding Instant Award Recognition to your existing formal recognition program, employees don’t have to wait a year, or a month to be recognized for a job well done. They will be instantly rewarded by their leadership team, which in turn leads to a more engaged employee while raising job performance and satisfaction.